Who's in charge of the English language? :: Grammar, style, and proofreading quizzes use sentences from literature. Who's in charge of the English language? The answer is “no one.” Unlike Chinese, Spanish, French, and other languages, English has never been regulated by an academy of experts who decide whether new words and phrases should be admitted to the language. English is a dynamic, free-wheeling, constantly changing language. An American president once tried to police the English language. In 1906 President Theodore Roosevelt issued an executive order that created the Simplified Spelling Board. The executive order listed 300 words that would be spelled differently in all government publications. Some of the words simplified British spellings. Ardour became ardor, arbour became arbor and clamour to clamor. Purr was changed to pur – no need for that double r. (Also makes you wonder why the word purr appeared in a government document) Other words were spelled phonetically. Blessed became blest, kissed became kist, though became tho, and through became thru. Seems like Roosevelt was way ahead of his time. Many of his spelling reforms are now the language of millions on social media. 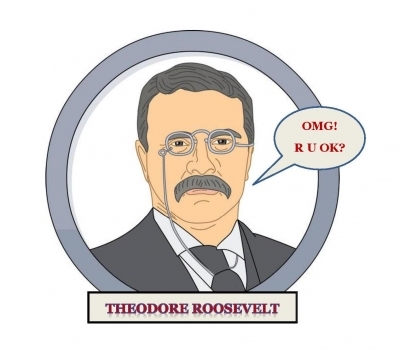 Roosevelt’s executive order was met with laughter and outrage. Newspapers made fun of Teddy’s spelling. 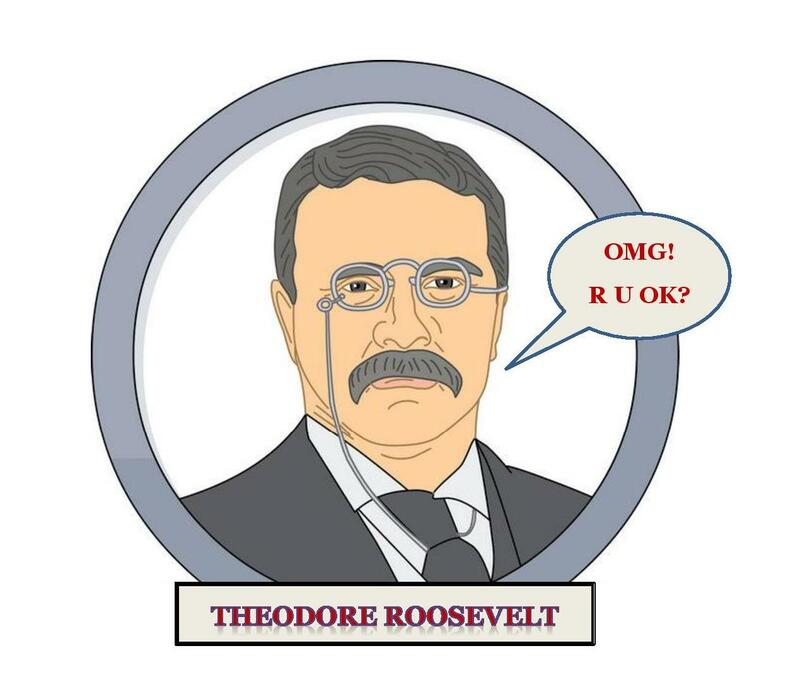 The Louisville Courier-Journal published an editorial written entirely in phonetic spelling, saying of Roosevelt, “No subject is tu hi fr him to takl, nor tu lo for him tu notis.” Both Congress and the Supreme Court refused to follow Teddy’s spelling rules. Roosevelt was accused of being a dictator, and of trying to set up some sort of French academy. Roosevelt issued the executive order on August 27, 1906. Due to public outrage and ridicule by newspapers, Roosevelt withdrew the executive order three months later on December 13, 1906 when the House of Representatives passed a resolution saying all government documents would follow spelling rules in dictionaries.